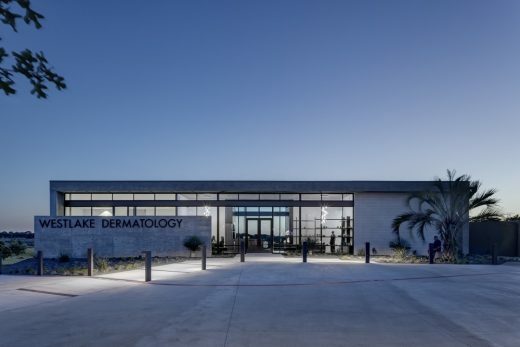 Westlake Dermatology’s location in Marble Falls was a ground-up design project strengthened by a collaborative process directly with the clients and consultants. 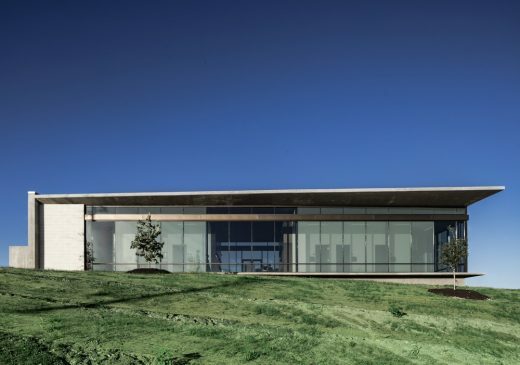 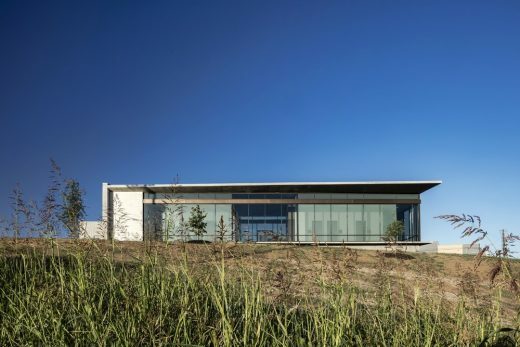 Situated along a major Texas highway to the east and overlooking gentle hills to the west, the new medical building is intentionally subtle, minimizing the visual presence of the new construction. 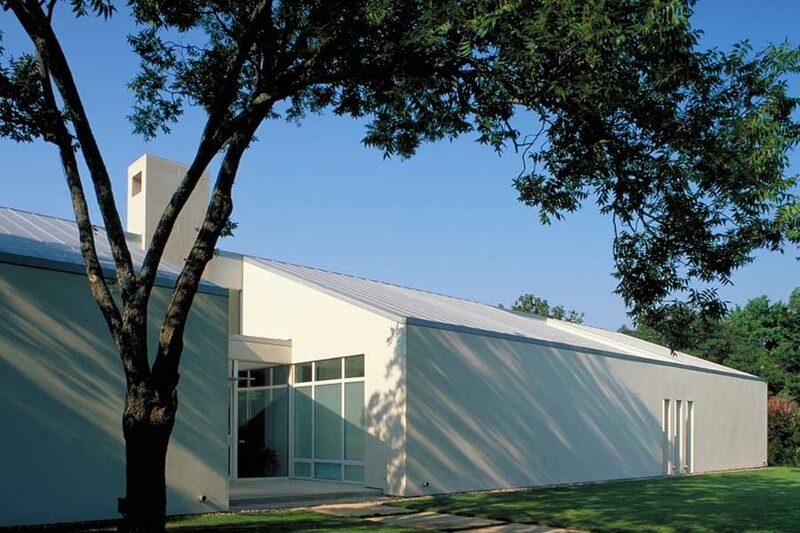 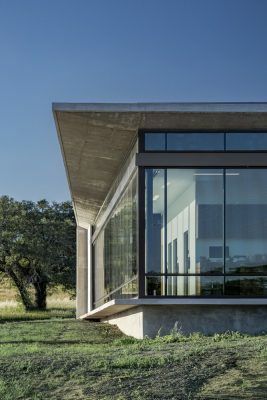 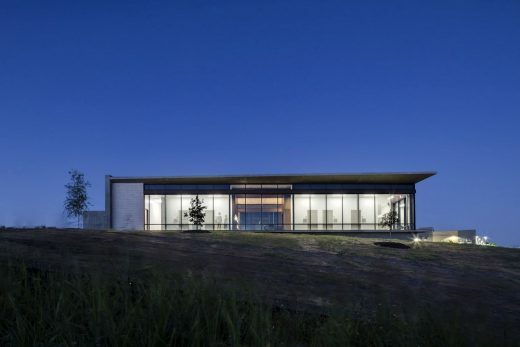 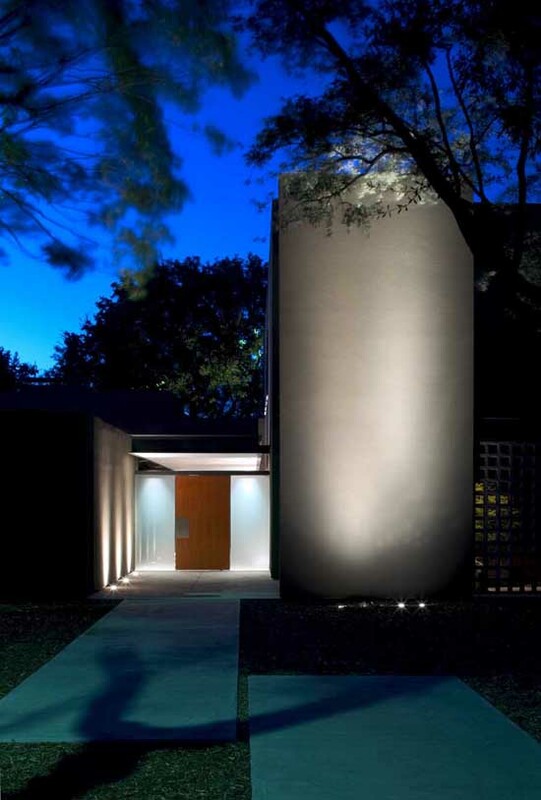 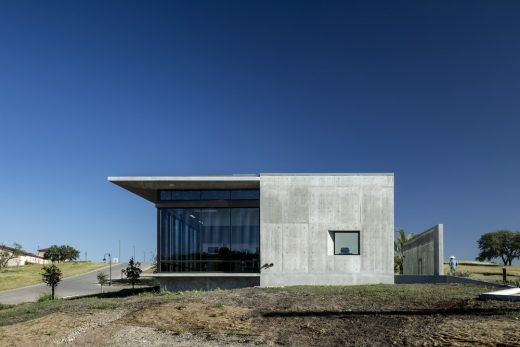 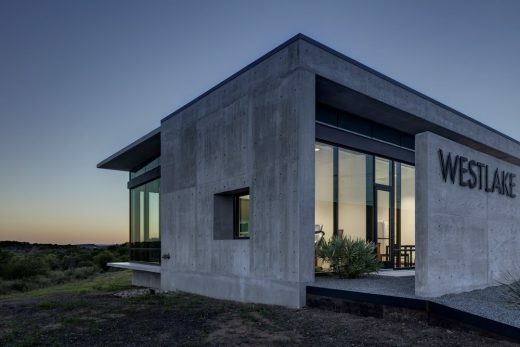 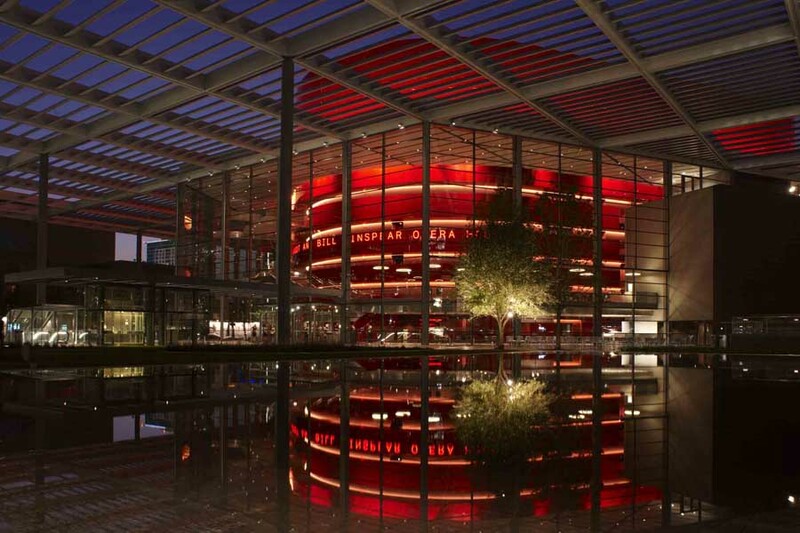 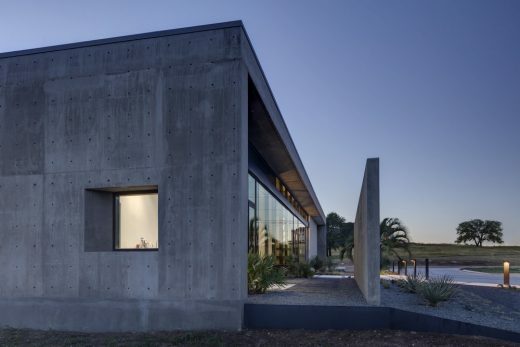 The nuanced concrete and glass shell merges with the designed landscape architecture, enveloping the comfortable, bright, and open interior in calm and quiet as one transitions from road, through a garden zone, and into the space overlooking the Texas Hill Country. 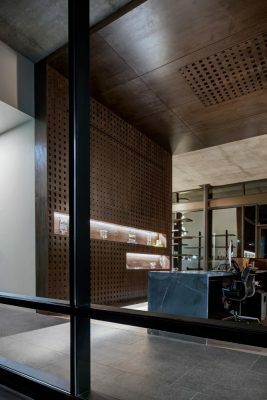 Patient care and comfort was a priority that influenced the design to tend towards a feeling of security, ease and familiarity. 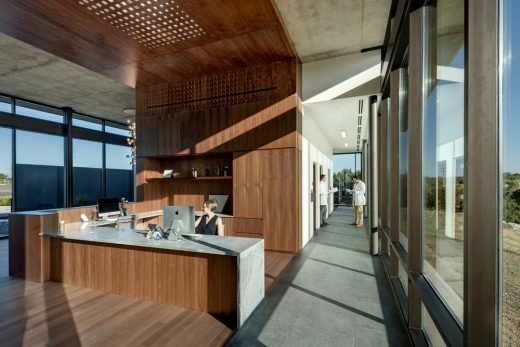 Upon entering or leaving the building, a physical transition and subtle mental cleanse occurs as patients, staff and physicians move through the interstitial space formed by the garden. 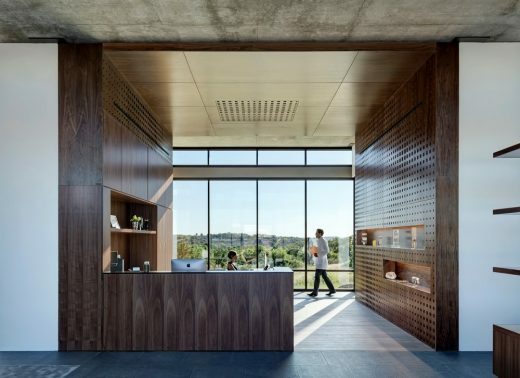 Once inside, natural daylight is filtered through the perforations of a parametrically designed custom skylight of routed wood. 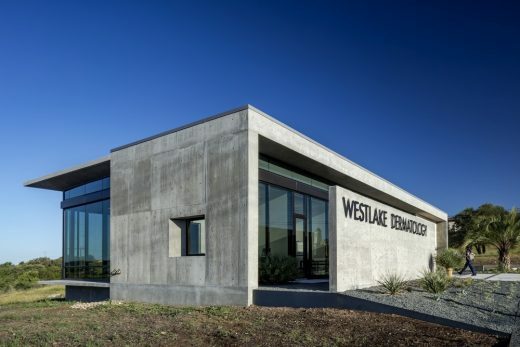 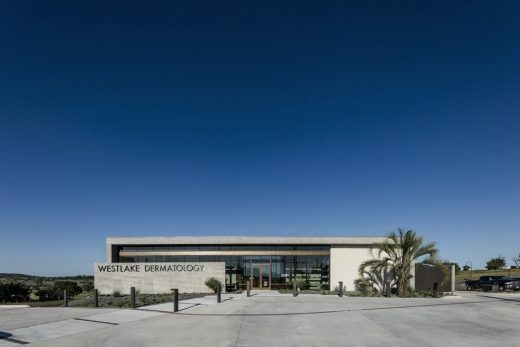 Warm and neutral materials such as Texas walnut, polished concrete, and natural stone and ample floor to ceiling glass alleviate Westlake Dermatology’s Marble Falls location from the sterile and harsh interior environments that may be typically associated with medical offices. 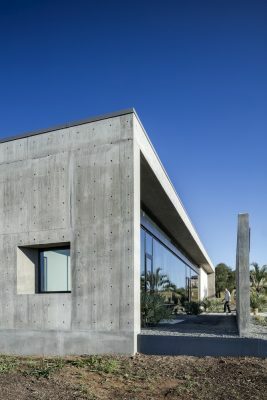 While uniform in size and shape at a glance, the concrete shell adapts to functional requirements such as the tapered, deep overhang that provides shade working together with the fritted glass. 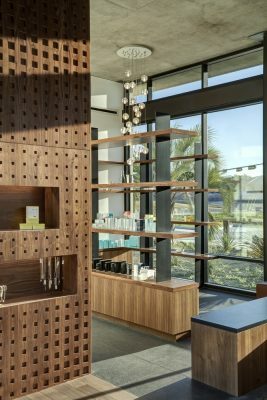 The interior is easy to navigate, intuitive, and provides a workflow that both allows patients and customers to wander without interacting with the more private areas of the space. 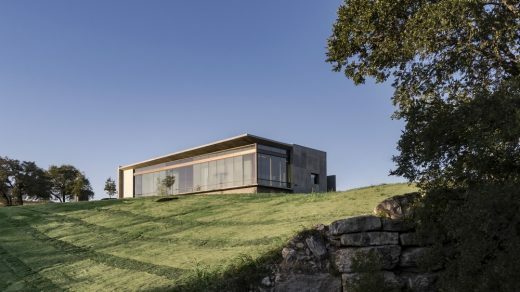 From a distance, the building is a pavilion in the landscape as a structure to behold in and of itself, but from when in and round the building it acts as deferential backdrop to function and a frame for views beyond. 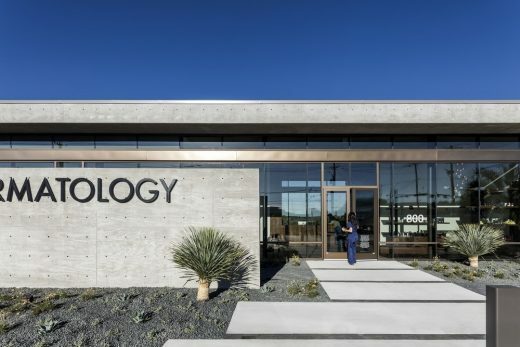 Calibrated detail along with careful material selection and placement result in a soothing and refreshing medical environment that is considerate of spatial and sensory experiences.